We read and hear much about gender divides, quotas, or, more recently, also about subconscious biases. What we do not hear much about are success stories of actually improving gender balance across organizations or countries. We have comparative data for varying contexts, countries, industries, levels of hierarchy, legal frameworks, showing correlations to more or fewer women in leadership, but little research on what actually moves the scale towards greater gender balance at work and in leadership positions. There seems to be a new silver lining at the horizon, though: paternity leave. Numerous studies examine indicators of how good it is for women to be part of the workforce or even progress in their careers as senior managers. In 2013, The Economist introduced a combination of some of these to create what they call their ´glass-ceiling index´. This index ranks currently 29 countries by how good it is to be a working woman in each of them. They publish it each year on International Women’s Day. For the interactive version of their index check out their website! 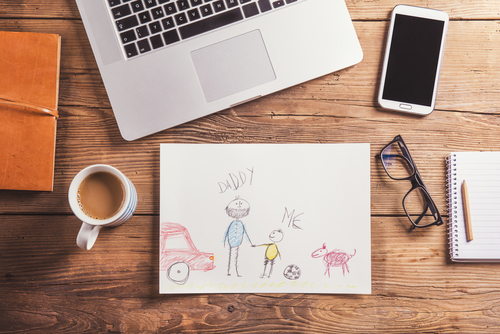 Studies show that where new fathers take parental leave, mothers tend to return to the labour market, female employment is higher and the earnings gap between men and women is lower. For further details on the research behind their index, see this OECD study or here. ... the proportion of women in total workers for a typical firm increases by as much as 6.8 percentage points (against a mean of 32 percent women workers) when we move from a country that does not mandate paternity leave to a country that does. Using firm-level data for 53 developing countries, we find a strong positive relationship between the provision of paternity leave and women’s employment. A standard answer for getting more women working has been maternity leave. Yet paid maternity leave alone is a weak indicator of women's progress in the workplace. Germany is a good example of a country where long maternity leave is highly valued by West Germans yet in effect harming women's careers. 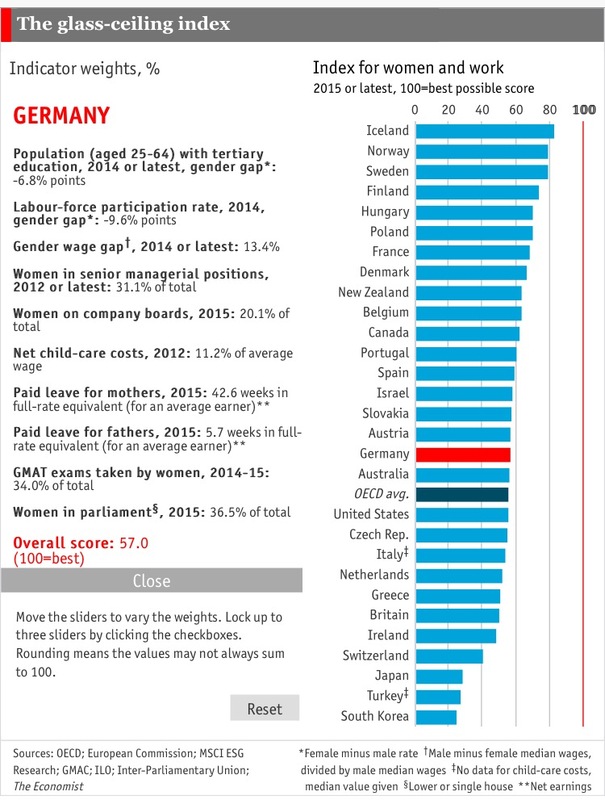 Apart from generational effects mentioned above, in Germany we also still have an East-West divide: I have had several clients, male and female leaders with East German backgrounds, sharing their surprise about the lack of understanding and sometimes even judgmental comments by West German colleagues about mothers returning to work after only a couple of weeks or months after birth. [O]n its own, paid maternity leave works only up to a point. Even in euro-zone countries and others that have boosted the share of women in the workforce by offering lavish maternity leave and cheap childcare, the gap between male and female labor participation still yawns. … the secret to keeping mothers in the workforce lies not in giving them more time off, but in getting more fathers to stay at home instead. Society is a mirror of the family. … The only way to achieve equality in society is to achieve equality in the home. Getting fathers to share the parental leave is an essential part of that. 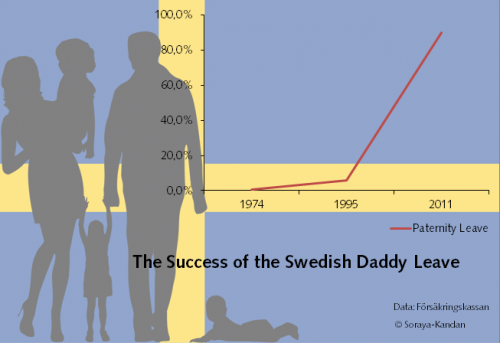 As a consequence, Sweden introduced a program - "Daddy Leave" - in 1995 that barred couples from transferring parental leave to one another. In fact, they lost a month of subsidized leave, if fathers took less than a month (since 2002: two months!) of parental leave. Also, the compensation was as high as 90 % of the wages, which made it very hard for fathers to choose work instead of parenting. This and a number of additional smaller improvements, like e.g. flexible-hours policies, resulted in today's numbers. Today, nine in ten Swedish fathers take leave - on average of three to four months each - accounting for a quarter of total leave time taken. The dominant effect of paternity leave on women's employment seems to be: the longer the leave the fathers take, the fewer time women are out of their jobs. Today, Sweden has some of the highest rates of working mothers in the world. Roughly nine out of ten mothers return to work after their parental leave. What one can certainly draw from the Swedish Daddy Leave is that promoting a more flexible workplace culture, in general, is favorable to all workers. We conclude that paternity leave is, in fact, an important indicator of progress for women's employment and that governments should use it much more systematically. We have taken here a comparative perspective on national legislative frames and their impact on female work participation. In a future post, we will turn to the organizational level of measures to increase female employment and leadership careers. Daddy Leave is indeed worthy to think about twice. *Many thanks go to our current intern Sulamith Engbrecht for her contributions to research, graphics and editing for this blogpost, as well as to Roxana Willis from The Economist for her support.